Heineken is launching its first ever magnum of beer and it’s arriving just in time for your Christmas and New Year celebrations! A lot of people would say bigger is better and when it comes to booze we couldn’t agree more. This year Aldi have taken it to the extreme with its massive six-litre bottle of Prosecco but Morrisons have also upped its game with a £10 magnum of fizz. If spirits are more your thing you can get giant bottles of Hendricks and Boodles gin as well as the amaretto-tasting liqueur Disaronno. But if your tipple of choice is an ice-cold beer you might be wondering how you can get in on the supersize action. Thankfully, Heineken have stepped in with its first ever magnum of beer! That’s right, you need to tell all your beer loving friends and family that for the first time ever you’ll be able to pick up a 1.5 litre bottle of beer. This magnum of beer has a cage and cork clasp so you can pop it just like a bottle of Prosecco or Champagne. 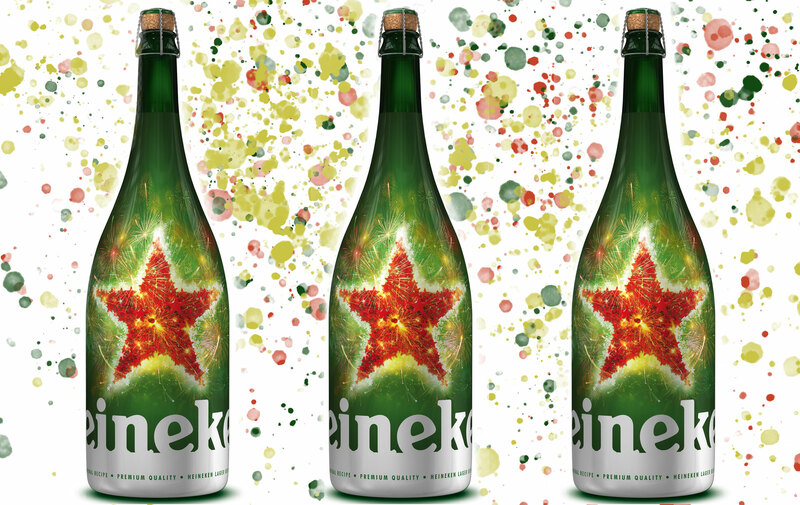 The bottle has a sleek design featuring Heineken’s iconic red star and would make an excellent gift for your beer-loving friends or family. In selected Sainsbury’s stores across the UK you’ll also be able to create a personalised gift set for that extra special touch. If you buy a Heineken magnum you’ll be able to add a photo message to a branded gift box for free. The service will be available on Sunday 9th December and Saturday 15th except Archer Road and Ellesmere Port which will pop up on Wednesday 12th. Do you know someone that would love this? Head over to our Facebook page to tag them!